The first meeting of the Fabric & Homecare expert advisory committee took place in March 2007, at a splendid location outside of Brussels. The idea is to provide an external perspective and help identify emerging environmental trends. Although the focus is on detergents and cleaning products, we have had presentations from other sectors within P&G, including batteries. This team have now met three times – most recently in March 2009 – so we have been able to see progress being made on the issues we’ve raised. And the idea of an advisory panel have been picked up by the Babycare team at P&G – see below. 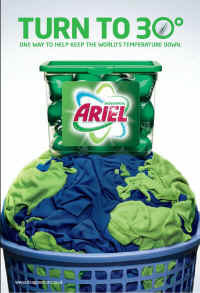 P&G have a website called Science in the Box, which provides information on their safety and sustainability approach. This entry was posted in Business, Detergents & Cleaning, Home & Household, News 2007, News 2008, News 2009, News 2010, Procter & Gamble and tagged Cleaning, Detergents, Sustainability.